The Allure of Dartmouth: The Crow's Nest mini guides - 3) Crabbing in Dartmouth. 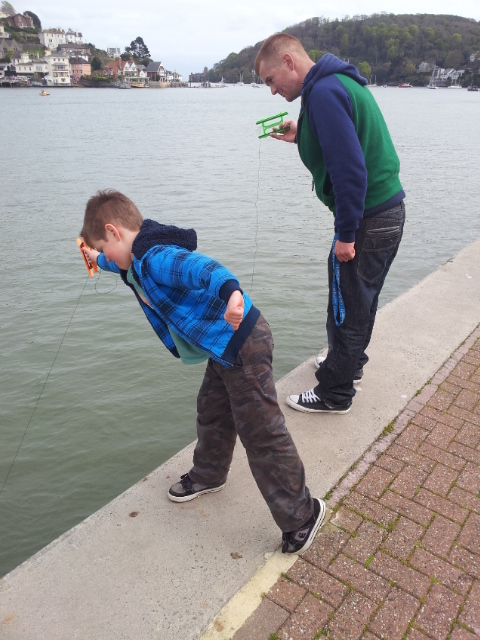 The Crow's Nest mini guides - 3) Crabbing in Dartmouth. Dartmouth crab fishing tips for holidaymakers and visitors. There is a past time in Dartmouth that takes place each year from April to October depending on the weather. It is essentially a fine weather sport. It is suitable for all ages although children tend to be more enthusiastic and enthralled. It is harmless and the equipment initially costs around a fiver. The equipment consists of a bucket, preferably clear, a fishing line with a mesh bag on the end and bacon. That's it. It involves skill, patience, luck and fierce inter-family competitiveness. The past time is crab fishing,known as 'crabbing' locally. The art of catching crabs off the embankment by line. Years ago this was carried out using normal fishing lines with hooks on the end. The bait, usually cheap supermarket bacon was then placed on the hooks and the line dangled into the water. The problem here was twofold. The hooks hurt the small crabs and the hooks sometimes hurt the small children's fingers. The solution was easy. The hooks were substituted for nylon mesh bags when it was realised that with fresh bacon inside, the small crabs would cling on tight until they had eaten their fill. No need for nasty hooks. Almost overnight, the past time became enormously more popular and safer to one and all! If you get hooked (sorry!) 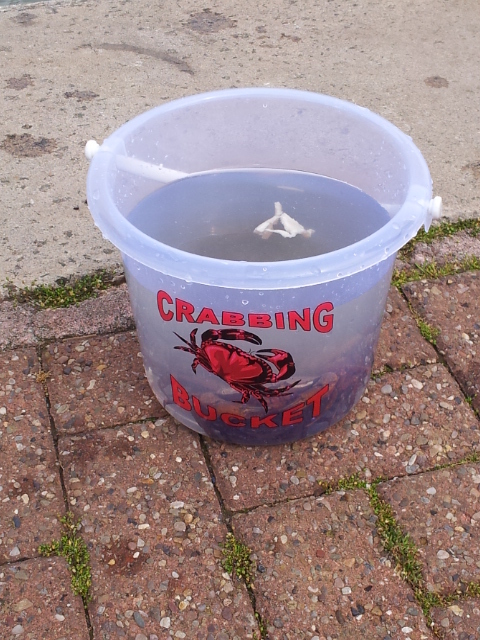 on crabbing you can arrive in Dartmouth, buy your gear and be crabbing within 5 minutes. Some guests of ours recently reported catching 94 crabs in about 1 hour from the North Embankment. They must have used a very big bucket and excellent quality bacon. The best places to go crabbing in Dartmouth? That's easy, the North and South embankments but watch out for boats especially ferries coming in to moor up! The thing is, children simply love it! They cannot wait to get out and start catching the lovely creatures. it must be a combination of sport and the skill of pulling your line very gently out of the water so the crabs don't jump off before you pop them into the bucket of water. It is often said that Dartmouth crabs must be the healthiest crabs around. They spend most of the summer eating first class bacon and then go for a little ride up in the air to spend some time in a small bucket before being returned to the water to look for more bacon. Crabbing in Dartmouth, the crabs love it, families love it and so do the supermarkets. Buckets and lines sold by: Pillars newsagents Lower Street and many other outlets around town. Final Safety Tips: Don't let anyone fall in the water! and don't eat any that you catch, please put them back for the next crabbers. NB If by now you have a longing for fresh crab, Dartmouth is the right place to be. Our local restaurants, pubs, cafes and shops sell the freshest and finest crab in the world try it next time you visit.